ReFirme is breakthrough laser skin tightening method especially effective in the treatment of aging skin. Safely lift, contour and improve skin tone using a safe, non-invasive FDA approved procedure. The first and only radio frequency based FotoFacialRF offers patients virtually painless skin tightening – without surgery. How does it tighten skin without surgery? 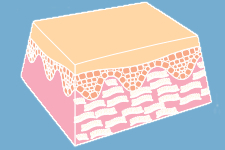 Skin is made up of two layers. 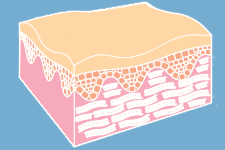 The visible outer layer is called the epidermis. The deeper layer – the dermis – is made of a protein called Collegen, which is the key to younger looking skin. Age, genetics, sun exposure and other factors all contribute to a breakdown of collegen, which in turn loosens your skin causing wrinkles and less definition. Laser Skin Tightening works by using controlled, fractional RF energy which heats the deep layers of skin. This causes collegen to heat while the outer layer is cooled, causing a contraction of the top layer of skin, which tightens it and helps your skin more closely follow the contours of your facial structure. The treatment also helps generate new collegen production, adding to the benefits over time. Will laser skin treatments work for me? Our ReFirme treatment can visibly tighter skin around the eyes, forehead and brow, reduces crow’s feet, jowls, chin and folds near the nose without surgery. Because of the way the skin surface is cooled during treatment and how the energy is delivered through the skin you should not feel any pain. Typically no anesthesia or sedation is required. This clinically proven, FDA approved procedure delivers effective results with minimal downtime. You won’t have to ‘hide’ from people after treatment either, this no-downtime method allows you to return to your normal activities immediately after treatment. You should see immediate results with smoother, firmer skin that improves over time. Treatment costs vary depending on what areas we are treating, and how many treatments are required. 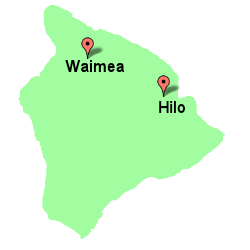 For a good idea on your skin tightening costs, call our specialists at 808-885-9000 or drop us an email.